I am challenging people around the globe to consider carrying a quarter, dime, nickel, and penny in their pocket as a reminder to express appreciation and appreciate expression around them everyday! (Now, I know coinage may need to change country by country but adapt it to what makes sense!) It has been part of shifting my perspective in both my work and personal life, and I believe it can have a similar impact on your life as well. And, let’s be real – the people around us could use a heavy dose of appreciation! So, why not let that start with us? Why not be a catalyst of something that in it’s small little way will lift people up so offset so much of the tearing down that takes place everyday? Why not, bring a fresh perspective of praise for people everyday not just once and a while? If I were able to somehow motivate just 4 people to utilize this tool and they were to encourage 4 people along with me each day … and we continued that for a full year, we will have encouraged 7300 people! Now that’s pretty cool. 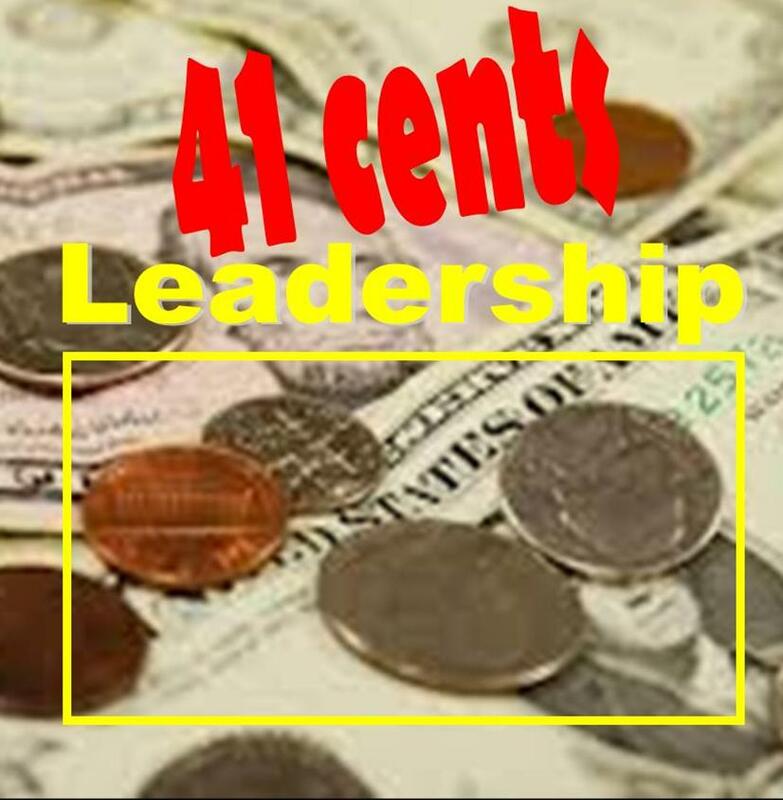 But … if each of us was to not only utilize the tool but motivate at least one other person each month to do the same, to utilize this 41 cent tool and encourage 4 people everyday … in only 12 month’s we will have 5120 “41 cent leaders” and have the potential to encourage over 7 million people that year. Now, that’s amazing. And listen to this… if that same regimen continued for another 10 months … we would have over 5 million “41 cent leaders” and the potential to touch over 7 billion people in a year! Now, that’s world-changing! So, the one has begun … who will be the 4, and the 10, and 20, and 40, and 80, and so on? And if we were to fall short of this silly dream to somehow touch everyone in the world, at least a part of the world will have a voice of encouragement – and that’s a start!